Our Echinacea range, Echinaforce, is licenced for the relief of the symptoms of colds and flu, and it does this job very well! However, is there benefit in taking Echinacea extracts preventatively, to strengthen the immune system and fight off bugs before you even begin to show any cold or flu symptoms? I believe so, and explain why in this blog post. Society today is all about immediate gratification and instant everything, and this often seems a shame. There’s one area of life, however, where there is really no point in waiting – health. 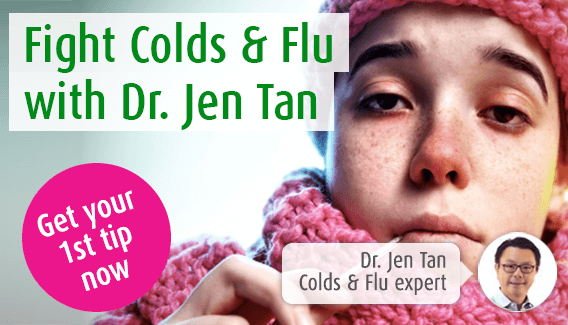 Why wait until you have a cold or flu bug? Why not help reduce your chances of getting one? True, cure is pretty good if you’ve already fallen prey to a beastly bug; but surely prevention is always the better option. In the UK, the Department of Health allows the indication ‘relief of symptoms of colds, flu and upper respiratory tract conditions’ for Echinaforce products. Echinaforce drops and tablets work by supporting the immune system and this is what we are allowed to say on our packaging. We are, however, often asked, in general terms, about using the herb Echinacea preventatively and our honest answer is that there is definitely evidence to support this. This is one of the ways the herb Echinacea has been used for centuries, and Alfred Vogel himself used it daily into his healthy nineties, and never had the bother of a cold. So long as you aren’t allergic to Echinacea, or taking immunosuppressant medication, or in the grip of some disease that affects immune cells, there’s not much to worry about (although obviously, always read any leaflets that come with Echinacea products – they’re there to help). In other countries Echinaforce is licensed and recommended for prevention. For example, in Switzerland the indication for the A.Vogel product is ‘susceptibility to colds’, and ‘enhancing the body’s defence system against colds and feverish colds’, as well as ‘encouraging the healing process with colds’. In addition, the European Medicine Agency, in their Herbal Medicinal Products Committee report, acknowledges that Echinacea purpurea has well-established use for the short-term prevention and treatment of common cold. Is there any research to back this up? The most recent research into Echinacea backs up the prevention indication. To back this up, a 2016 study8 concluded that there is no evidence to support limitations on the duration of therapy with Echinacea. So, taking Echinacea for the prevention of colds and flu is well supported by science, and is an important part of any strategy to avoid cold and flu misery!